Like it or not, cold weather is on its way. Inevitably, some snow will come along for the ride. 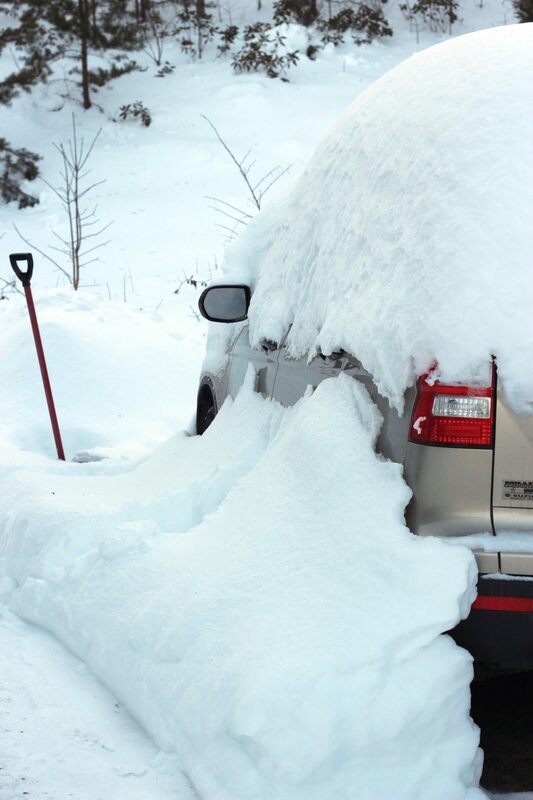 Even if snow is one of your favorite things, it’s still a problem when your car gets stuck. Have your tires checked. If the tread is worn thin, it’s likely time for a new set of tires. All-weather tires perform better in the snow, as do properly inflated tires. Stock your trunk. A shovel is a big priority for your car’s trunk in winter. Use it to dig your car out of the snow. Salt and kitty litter also can be useful if your tires need something to grip or you need to melt some ice. A small patch of carpet or cardboard can provide traction in a snow emergency, too. Give yourself plenty of time. A rushed journey during a snow storm is a potential recipe for disaster. Slow down and pay attention. Don’t panic. If you spin the wheels in a panic, you’ll likely only get stuck even deeper. Instead, back up slowly and turn the steering wheel, or grab the tools from your trunk. Know your route. Stick to roads you know when possible to avoid tricky or unexpected turns. Keep safety in mind if you get stuck in the snow. Don’t wander off for help if you’re far from the nearest town. Don’t crawl around your car before you make sure no cars zoom in your direction.